Wes Anderson is the novelist of filmmaking. That may sound like an oxymoron, but hear us out. 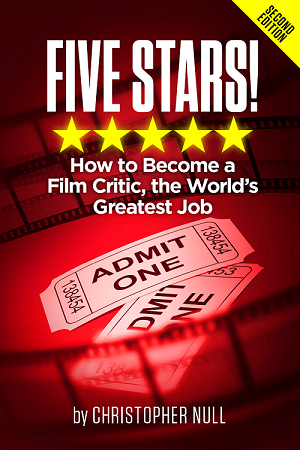 Unlike a standard mainstream movie, which telegraphs each emotion and announces story beats sometimes trailers in advance, the man behind such critical hits as The Grand Budapest Hotel and The Royal Tenenbaums buries his business in the details. No one is more meticulous or obsessed with visual panache and the formalism in framing. Like a great book, you have to experience the entire thing, from first word to the final narrative flourish. This is especially true of Anderson’s work in animation. The Fantastic Mr. Fox, based on a story by kid lit favorite Roald Dahl, utilized the age old technique of stop motion to bring a level of surreal relevance to what was basically a man vs. innocent animal plot. His latest turn with the format, Isle of Dogs, is everything Fox was, taken ten-fold and exaggerated. Like a frantic little kid with a paintbox overflowing with imaginative possibilities, Anderson’s world here is so dense and dynamic, it makes up for the story’s less appealing qualities. As with any appropriation of culture, some will see this movie as nothing more than Hollywood whitewashing Asia for its own aesthetic purposes. Our film is set in a dystopian future where dogs have been forcibly quarantined on an island off of Japan. The reason? They have been accused of spreading a disease called “snout fever” and are considered a health threat. Living among garbage and filth, man’s former best friends struggle to get along. When a little boy named Atari (voiced by Rankin Koyu) arrives on the island to find his pal Spots (Liev Schreiber), he gets help from an unlucky group of alpha males– King, Duke, Rex, and Boss (Bob Balaban, Jeff Goldblum, Edward Norton, and Bill Murray, respectively). Under the leadership of Chief (Bryan Cranston), the group uncover a conspiracy against the pups which leads to a surprise reason for the exile. 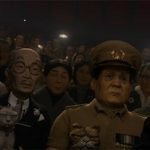 Let’s get something out of the way right up front–Isle of Dogs is too in love with Japan and Japanese culture (all of its–art, movies, language, customs, etc.) to be considered racist. In fact, accusations of Anderson stepping in and diluting the country and its people by making his canine characters speak English reeks of “wrong argument, wrong time.” Sure, you can questions specific artistic choices, but this is a movie based on the idea that dogs (a) can speak, and (b) are part of a larger plot dealing with very dark, very apocalyptic themes. This isn’t a documentary. 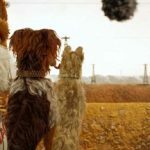 On the other hand, Isle of Dogs is such an eye-popping and mind-bending bit of spectacle that it can be forgiven for a little cultural appropriation. There is so much going on here, so many homages and references, in-jokes and cinematic shout outs, that one could invent a game based on recognizing such asides. And then there is the voice cast. The who’s who of actors and famous faces bringing life to these characters is eclectic to say the least. From Harvey Keitel and F. Murray Abraham to Tilda Swinton and Yoko Ono, there’s a wealth of worthy names (including many Japanese performers) playing in Anderson’s toy box, and they sound like they’re having a marvelous time. So what if it doesn’t immediately merge together into a weepy work of overt sentimentality. Who cares if the jokes or more subtle and not directly lifted from the latest pop culture trends. 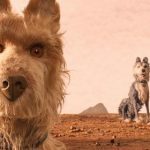 Isle of Dogs delights because it creates a complete world, recognizable but at the same time ridiculous, over the top and yet comforting in its antiquated animation technique. It’s another example of Wes Anderson and his magnificent obsessions. It’s flawed, but fascinating.